The first meal I cook in any new kitchen is roast chicken. It’s a genetic thing, I can’t escape it. A house is not a home until a roast chicken has been made and consumed therein. Which is to say, we have moved. And I have made roast chicken. So we live here now. With roast chicken in hand (or in fridge, as the case may be) and a few more rooms unpacked, we’re starting to finally settle in. The babies’ room is nearly done – just a few pieces of artwork to hang and it’ll be even better than their old room. The office is finally unpacked, thank goodness, as I need to get back to writing Duncan’s story – I left the poor Earl of Kilgoran deep in an argument with a very pretty witch the day before we made an offer on this house and haven’t written a word since! More on that at a later date, I suspect. 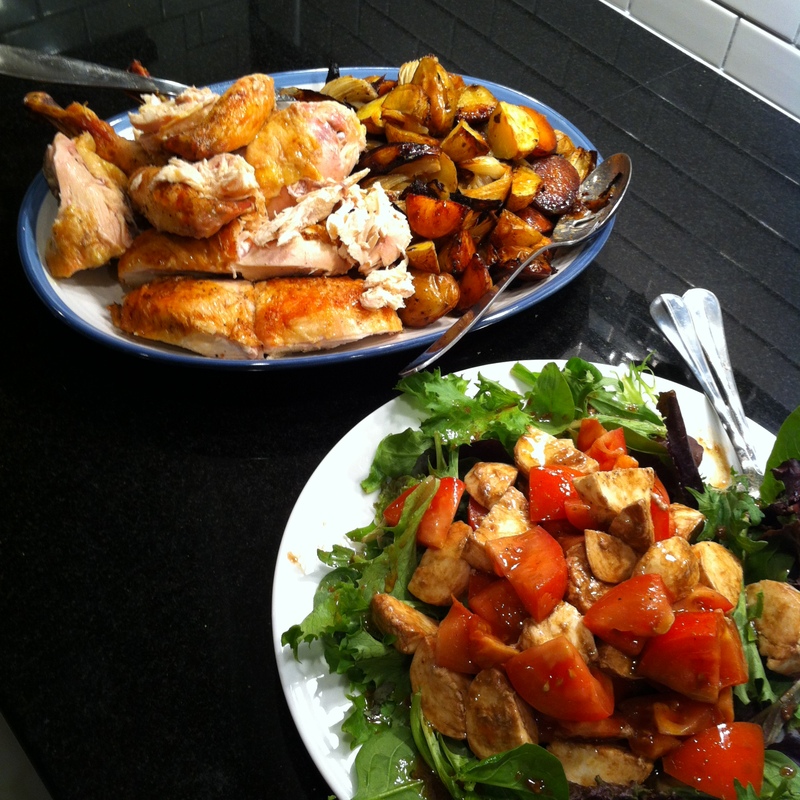 In the meantime, if you’re needing some comfort or just a way to feel like you belong, here’s my roast chicken. Loosely based on Ina’s, of course.